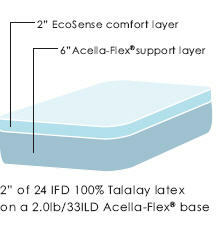 This RV mattress features all the benefits of our poly core mattress but with the added feature of 2" of cool latex foam. 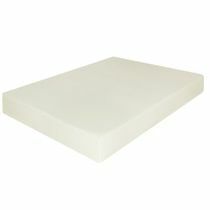 Latex foam offers pressure relief like memory foam but in a non-toxic and eco friendly natural product - latex rubber. Latex foam is instant recovery so you never feel like you are in a hole and can't get out, something memory foam owners have complained of often. If you spend more than 2 weeks a year in your RV then I would definitely choose this upgrade. 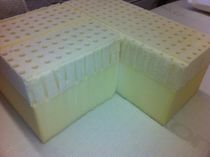 Comes with an upgraded bamboo/cotton quilted cover for that feel of luxury.